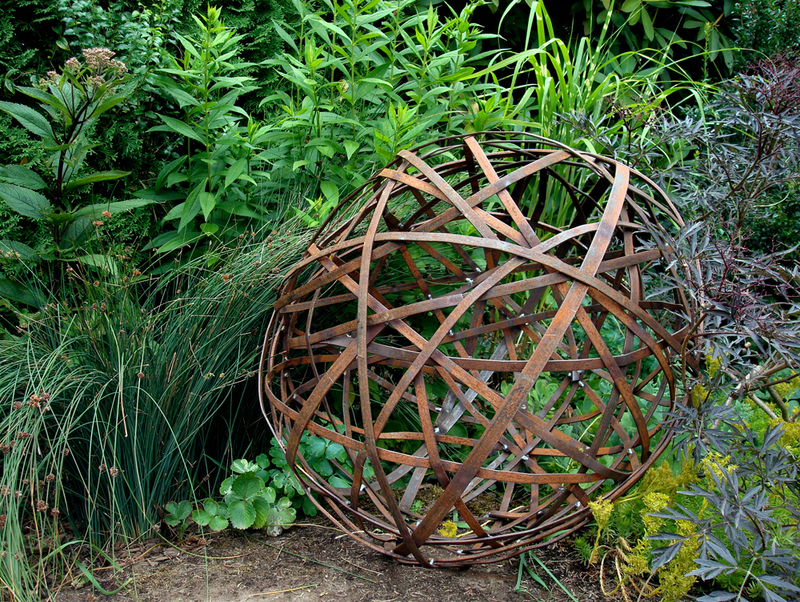 I’m making many orbs that stray from the classic garden orbs I’ve done. 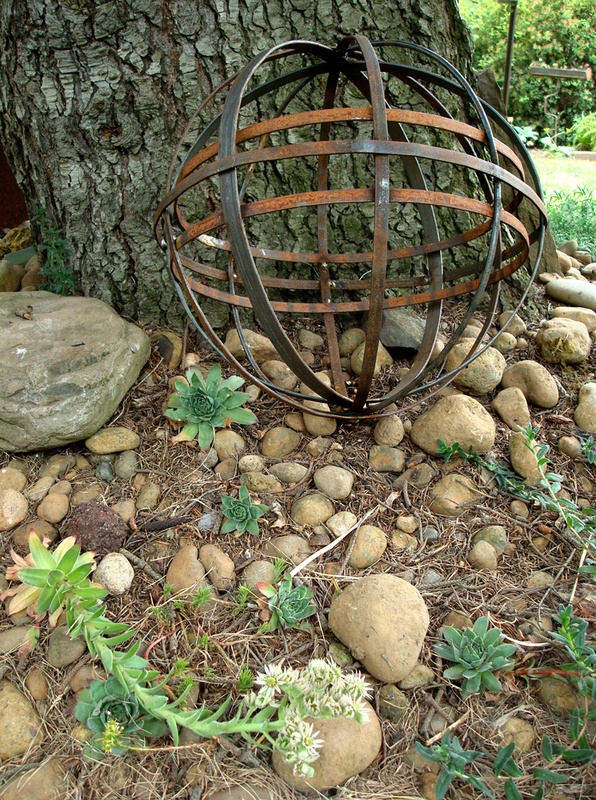 In these, the composition and collection of parts depends on the materials I find. 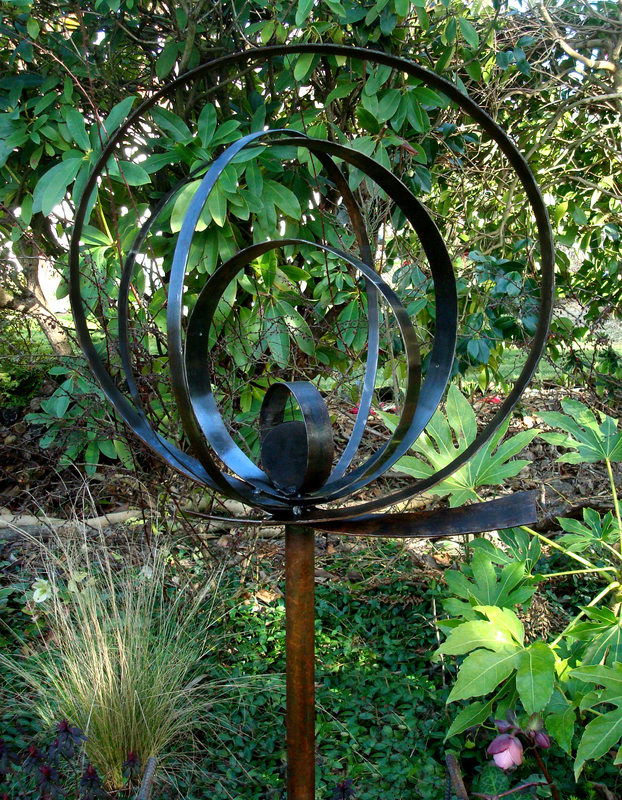 Orb in an Orb (30″ H), Triple Middle (21″ H), Small Triple (16″ H) and Swoosh (16″H). 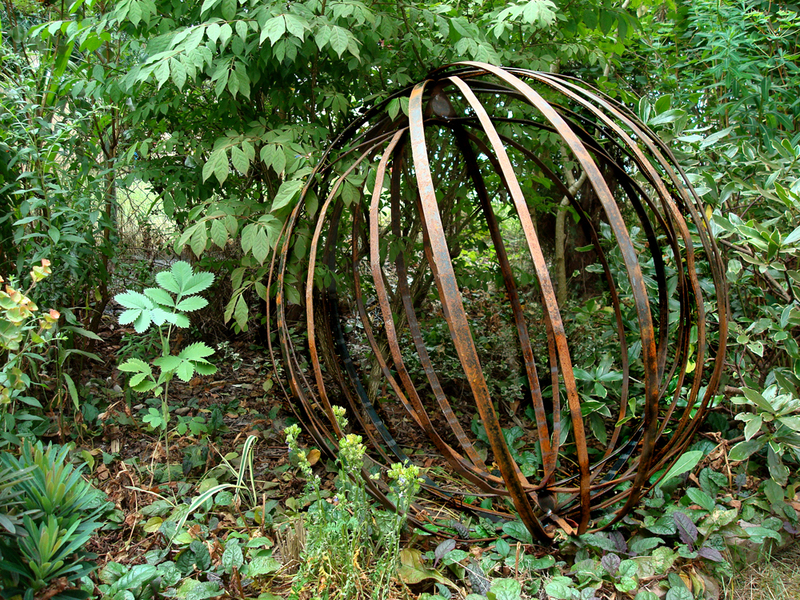 Categories: new work | Tags: garden orb, industrial remnants, scrap steel | Permalink. I’m really enjoying these organic nesty objects. 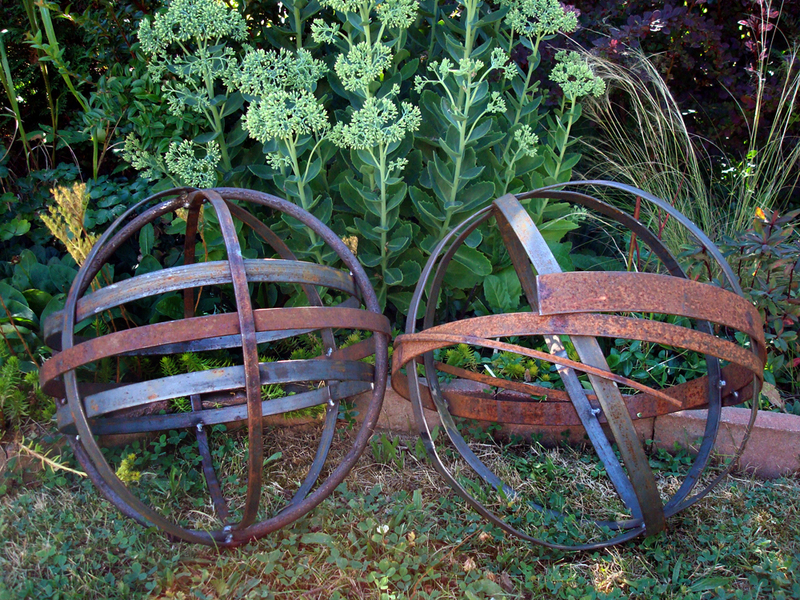 Here is the orb (20″ H) and the egg (27″ H x 19″ W). It’s the perfect use for the tangled strap I find at the steel yard. I can take advantage of the distortion to create unique outcomes. 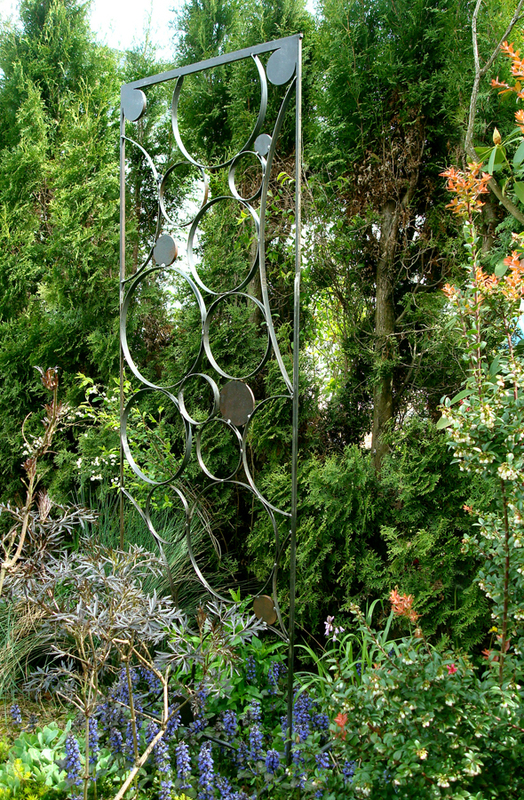 I add all widths and thicknesses into the object so it feels like all the random twigs a bird may collect for a nest. 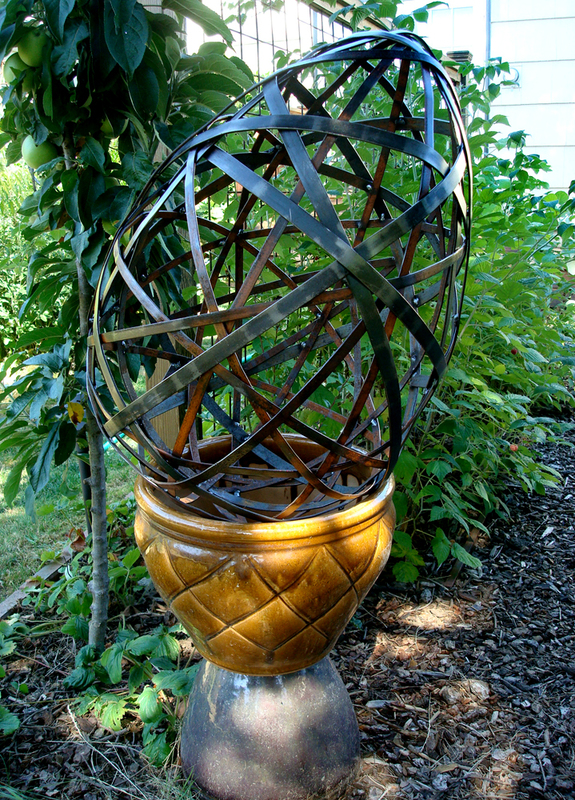 Categories: new work | Tags: egg, garden orb, nest, scrap steel | Permalink.